At Sterling Dental Centre, Dr. Tarun Giroti, who firmly advocates holistic dentistry, wholeheartedly believes that it is far better to save and treat a tooth where possible than to remove it. Thanks to endodontic treatments, extracting a tooth is no longer your only option. 'Root Canal Therapy' is the more common name of Endodontics. 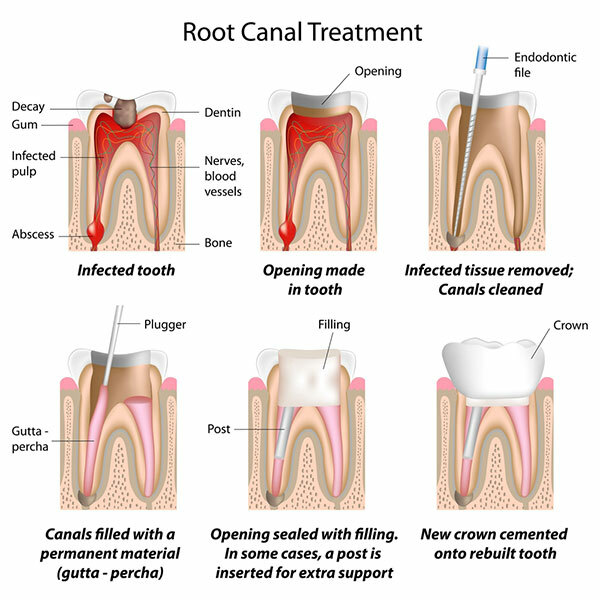 Root canal therapy is the treatment of infection or disease found inside the tooth. It is used to salvage seriously infected teeth which would otherwise have required extracting. Serious levels of tooth decay or an injury that causes an abscess or infection in the bone. The development of sensitivity when hot or cold drinks or food is consumed. Spontaneous pain or throbbing during biting. If you are experiencing any of the above issues, we strongly recommend you schedule a consultation with our friendly team today. If your tooth does require an extraction, we may be able to treat it using endodontics and save your valuable tooth!